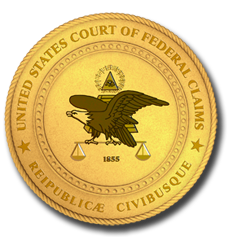 Judge Campbell-Smith was appointed Judge of the United States Court of Federal Claims on September 19, 2013. She served as Chief Judge from October 21, 2013 - March 13, 2017. Judge Campbell-Smith formerly served as Special Master from December 8, 2005 to April 6, 2011. On April 7, 2011, she was appointed as Chief Special Master. Judge Campbell-Smith practiced from 1993 to 1996, and again from 1997 to 1998, with the law firm of Liskow & Lewis in New Orleans, Louisiana. Her areas of practice included environmental regulatory law, patent infringement litigation, and toxic tort litigation. Her pro bono work included representing children in adoption proceedings in the juvenile division of Civil District Court in New Orleans, Louisiana. Judge Campbell-Smith served as an extern to Judge John Minor Wisdom of the Fifth Circuit Court of Appeals in 1991. She clerked for Judge Martin L. C. Feldman of the United States District Court for the Eastern District of Louisiana from 1992 to 1993. She clerked for Judge Sarah S. Vance of the United States District Court of the Eastern District of Louisiana from 1996 to 1997, and she clerked for Judge Emily C. Hewitt of the United States Court of Federal Claims from 1998 to 2005. Judge Campbell-Smith graduated from Tulane Law School, with honors, in 1992. She received her undergraduate degree in electrical engineering from Duke University, with honors, in 1987. She is a member of the bar in the states of Louisiana and Maryland.